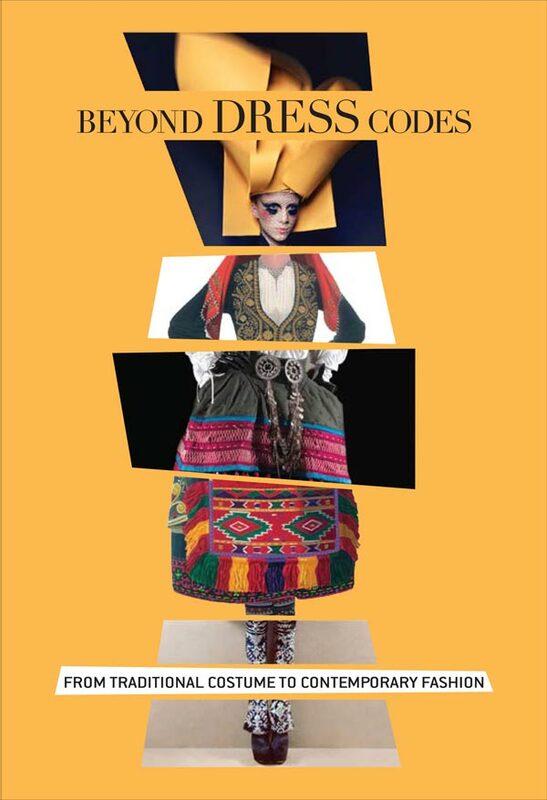 Participation of artist Blind Adam in exhibition "Beyond dress codes"
Within the framework of the Cyprus Presidency of the Council of the European Union, the Laiki Bank Cultural Centre in collaboration with the Cyprus Fashion Designers Association and the Hellenic American Union present the exhibition “Beyond Dress Codes: From Traditional Costume to Contemporary Fashion”. Clothing is a game of concealment and discovery. Costume functions as a code of communication: it covers the body while at the same time it reveals the identity of the person wearing it. Clothes convey information about a country’s history, customs and traditions, the social and the economic circumstances of a place and also about the gender, age and a person’s social status. The exhibition, curated by fashion historian Lydia Kamitsis, illustrates a progressive dialogue between traditional costumes and contemporary fashion. The initial launch of the exhibition in 2010 at the Hellenic American Union Galleries in Athens and later at the Macedonian Museum of Contemporary Art, presented 100 coloured drawings of Greek traditional costumes by the Greek illustrator Gisis Papageorgiou along with costumes of well-known Fashion Designers from Greece and abroad. These drawings, present costumes from various regions of Greece and constitute the largest and most comprehensive record of traditional Greek costume. The exhibition that is now presented in Cyprus, has been enriched by G. Papageorgiou with 40 additional drawings of Cypriot traditional costumes, as well as creations of 17 contemporary Cypriot fashion designers who were inspired by the Cypriot traditional costume and Cypriot folk art and seven interpretations of traditional costumes by the Cypriot artist Lefteris Olympios. In this way, the Greek and Cypriot traditional costumes are presented not as the antiquated contents of museum showcases but as sources of inspiration and creative interest. This concept, will be transmitted to the youth generation through a prototype and interactive educational programme “Dress up: Cyprus Style” which is going to be conducted at the Laiki Bank Cultural Centre. At the same time, the educational programme includes an independent online game that aims to bring the next generation in personal contact with the Cypriot folk art and traditional costume. The exhibition includes costumes and accessories created by: Atelier Loukia, Blind Adam by Thanos Kyriakides, Angelos Bratis, Dassios, Deux Hommes, Yiorgos Eleftheriades, Erotokritos, John Galliano, Jean Paul Gaultier, Ioannis Guia, Sofia Kokosalaki, Mastori*Motwary Studio, Charilaos Meletiou, MiRo, Parthenis and Cypriot designers: Kristos Avraam, Antonia Chambi, Barbara Christofi, Eleni Gircalli, Marios Gregoriades, Afroditi Hera, Kika Ioannidou, Fotini Lamnissos, Joanna Louca, Marina Nicolaidou, Pantelis Panteli, Tota Patsalidou, Christina Pitsillidou, Dora Schabel, Lana Sevas, Elena Strongyliotou, Tita Stylianou. The exhibition will be inaugurated by Andreas D. Mavroyiannis, Deputy Minister to the President for European Affairs, on Thursday, 27th of September 2012 at 8:00 pm, at the Byron Museum of the Laiki Bank Cultural Centre, 32 Vyronos Avenue, Nicosia.